Teenagers are going through one of the biggest periods of change in their lives and this rapid growth and development means they need far more sleep than the typical person. A bad night’s sleep could be making your teenager even grumpier than normal - and a supportive mattress is essential for aiding their growth and changing bodies. With research showing that teenagers may need up to 10 hours of sleep a night, ensuring they have a mattress that is suited to their needs is a wise investment and not a decision you can take lightly. Below, we’ve taken a look at some of the very best beds for teenagers on the market, designed with growth support, pressure relief, and cooling technology in mind. Take a look and find the perfect mattress for your teenager here – you never know, it might make home life a whole lot easier (but no promises)! The Casper Twin bed is great value for its overall comfort, support, and breathability, great for growing teens. Constructed from four layers of high-density foam and open cell technology, this cooling mattress is the ideal bed for providing a supportive, comfortable night’s sleep for teenagers as they grow. Your teenager needs a supportive mattress: If your teenager often complains of muscle aches and pains, they could definitely benefit from an ultra-supportive mattress that provides pressure relief as they sleep. The Casper mattress has high-density foam to leave your teenager well rested without the aches and pains. You want a hypoallergenic mattress: The Casper mattress is topped with a zip-off layer of hypoallergenic latex, making it easy to clean and keep dust-mite free. Your teenager is still growing: Growing teens will greatly benefit from the design of the Casper mattress, with four layers of high-density foam, providing excellent support, and open-cell technology, to keep your teenager cool all night through. What’s more, the layered foam design means that this mattress will continue to provide support for your teenager as they get taller and heavier, making this an excellent long-term investment. You want a long sleep trial: This mattress comes with a 100-night sleep trial, so your teenager can decide whether the firmness and feel suits their needs before fully committing to the mattress. The Casper mattress is constructed from four layers of premium memory foam, designed to provide a durable, breathable, and supportive mattress with a high level of comfort and pressure relief. What’s more, the mattress consists of open-cell foams, which have tiny pores to let excess hot air escape. This makes the mattress ideal for hot sleepers, keeping you cool and letting hot air filter through the mattress to avoid overheating. The Casper mattress describes its firmness as ‘just right’: highly supportive, but with just enough bounce to make it comfortable, too. With a high-density layer of foam sandwiched between a breathable open-cell top layer and a durable base layer, the Casper mattress maintains a soft feel whilst still providing great support for all pressure points – perfect for a growing teenager with aches and pains. Another bonus of the Casper is that it is delivered compact in a box for super easy maneuverability and set-up. Combined with a 10-year warranty and 100-night sleep trial, this mattress is a high-quality memory foam option that is ideally suited for a growing teenager in need of both support and comfort when sleeping. If your teenager is particularly active, they’ll need a mattress designed to promote faster recovery and muscle growth. The Bear mattress was made with these features specifically in mind, providing a highly supportive, cooling mattress that is perfect for providing relief to growing pains and muscle aches. Your teenager is very active: No matter what sport your teenager plays, active teens need a supportive mattress that aids muscle repair and growth. Designed with this specifically in mind, the Bear mattress is an obvious choice for active teens in need of a restorative night’s sleep, every night. Your teenager sleeps hot: This mattress is made with graphite-gel memory foam, formulated to reduce excess body heat and create a sleeping environment that is reportedly seven times cooler than other memory foams. A mattress with both pressure relief and bounce is important: The Bear mattress is described as being medium-firm, so while it provides a supportive level of firmness for your growing teenager, it still has enough bounce for a soft, comfortable feel. You want an eco-friendly mattress: If eco-friendly materials are important to you, you might want to pick the Bear mattress, which is made from CertiPUR-US® certified foams and a water-based bonding solution, so the mattress is eco-friendly and has little to no smell. The Bear mattress is constructed from five premium layers of memory foam, all designed to add a unique element to the support and comfort of the mattress. At the bottom is a layer of high-density foam for long-lasting durability and support, topped by transitional performance foam to provide excellent pressure relief while sleeping. The Bear mattress then has a layer of comfort foam to keep the mattress comfortable with a good amount of bounce, and then comes the final two layers: a layer of cooling graphite-gel foam to remove excess and unwanted body heat, and a breathable cover made with Celliant® technology to help improve cooling and recovery, and provide optimal comfort. The Celliant® cover is not only breathable, but the technology also turns your body’s natural energy into infrared light, leading to faster recovery and increased energy throughout the day. This, alongside the cooling graphite-gel and open-cell memory foam, makes the mattress a reported 7 times cooler than traditional memory foam, creating an ideal restful sleep environment for increased recovery and repair. Combined, the construction of the mattress is designed to provide a fantastic balance between support and pressure relief, and contouring comfort that hugs the body without overheating it while you sleep. The Bear mattress is described as medium-firm, with a supportive solid core that offers optimal spinal alignment and a soft and comfortable top with enough bounce to avoid overheating from sinkage. Made from eco-friendly materials that are CertiPUR-US® certified, the Bear mattress has little to no smell and is delivered to your door in a box for easy set-up in your home. 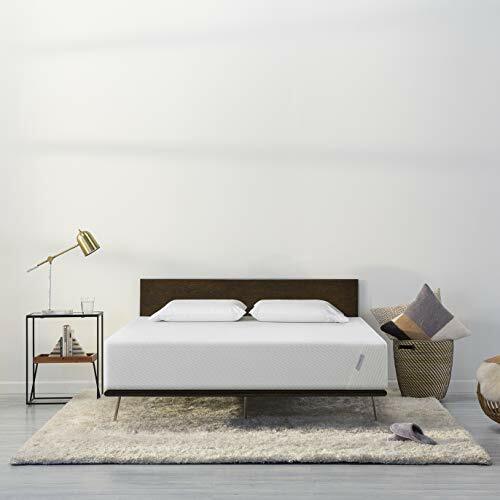 This mattress also comes with a 100-night sleep trial that will allow your teen to test the mattress before you commit to buying it.Overall, this is a high-quality memory foam mattress with some fantastic features to aid recovery, provide pressure relief, and create an ideal sleeping environment for a restful night’s sleep. If your teen is particularly athletic and relies on a good night’s sleep for improved performance, this is a worthwhile investment. The Luxi 3 in 1 mattress adapts to changing bodies wonderfully and is fully customizable to allow for three different levels of firmness.If your teenager’s sleeping needs seem to be changing as quickly as their mind, this mattress can be a great value for money option. Your teenagers sleeping preferences change frequently: With growth spurts and changing bodies, it’s no wonder that a teenager’s sleeping preferences can change suddenly. The Luxi 3 in 1 mattress is a fantastic choice when a lot of versatility is needed, providing excellent support for front, side, and back sleepers. Pressure relief is a priority: The Luxi 3 in 1 mattress is constructed from shape-matching technology that is designed to provide excellent pressure relief in all sleep positions. You want a cooling memory foam mattress: Made with open-cell foam and topped with a breathable fabric cover, this is a memory foam mattress that will keep your teenager cool all night. You want a longer sleep trial: Another mattress with a 100-night sleep trial, if you aren’t 100 percent sure your teenager will love the Luxi 3 in 1, they provide enough ‘try it before you buy it’ time to contemplate before you fully commit. The Luxi 3 in 1 mattress consists of three layers that can be adjusted for firmness – you simply need to unzip the mattress to change the foam layer to suit your teenager’s preferences. Constructed with support balancing technology, the softest layer provides great cooling and body contouring for a soft feel with minimal motion transfer. The other layers include an adaptive transition layer that can be moved to the top to create a medium-firm mattress with the perfect amount of sink and support. Finally, the mattress can be flipped for the firmest option. The shape-matching layer of the Luxi 3 in 1 is a particularly impressive feature, supporting your body weight in a range of sleeping positions – making this an ideal mattress for those who like the option to sleep on their front, side, or back. What’s more, the patented Support Balancing Technology (SBT) is designed to function like a series of channels through the mattress, therefore removing excess body heat and create a cooling, comfortable sleeping environment. The Luxi 3 in 1 comes with a 100-night sleep trial period as well as a 1,000-night pledge. The pledge is a commitment from the brand to work with you (and your teenager) to fix any comfort problems that your teen is experiencing. If the Luxi continues to fail to meet your teen’s needs, the Luxi team will provide a consultation to see what else can be done to guarantee a good night’s sleep. Overall, the unique versatility of this mattress makes it a great investment for a teenager with changing needs and preferences. As your teenager grows, they will likely change their preference for a soft or firm mattress, as well as what position they sleep in. The Luxi 3 in 1 covers all bases. The Arctic Dreams mattress is a high-quality memory foam mattress at a great price. This mattress means you don’t need to sacrifice on quality when you’re on a budget: with fast-response foam designed to provide excellent pressure relief and cooling technology, your teenager will still have a supportive and comfortable night’s sleep at great value for money. Your teenager sleeps hot: The Arctic Dream is constructed with a viscoelastic foam known as Energex, which has an open, cool polymer structure, perfect for a cool night’s sleep and great for if your teenager tends to get hot while sleeping. You’re on a budget: Being on a budget can sometimes mean sacrificing comfort and quality, but the Arctic Dreams mattress retains the high-quality features of a memory foam mattress at a great price. Your teenager is still growing: Providing excellent pressure relief, the viscoelastic foam of the Arctic Dreams mattress has a medium-firmness, ideal for sleeping comfortably in all positions. You want a mattress with a long sleep trial period and warranty: With the longest sleep trial period on this list, the Arctic Dreams mattress provides plenty of opportunities for your teenager to test the mattress before you commit to it. What’s more, with a 10-year warranty, the quality of this budget-friendly mattress speaks for itself. The Arctic Dreams mattress is designed with cooling in mind, as the Energex foam inside is gel-infused and has a responsive, open polymer structure, designed to filter excess body heat through the mattress. The Energex foam is a viscoelastic material, which is a fast-responding type of foam often found in luxury mattresses, offering a high level of pressure relief while still maintaining a good amount of bounce. Topped with three-quarters of an inch of soft quilting, the feel of the Arctic Dreams nicely combines a supportive, luxury memory foam with a soft and comfortable bounce for a great balance. 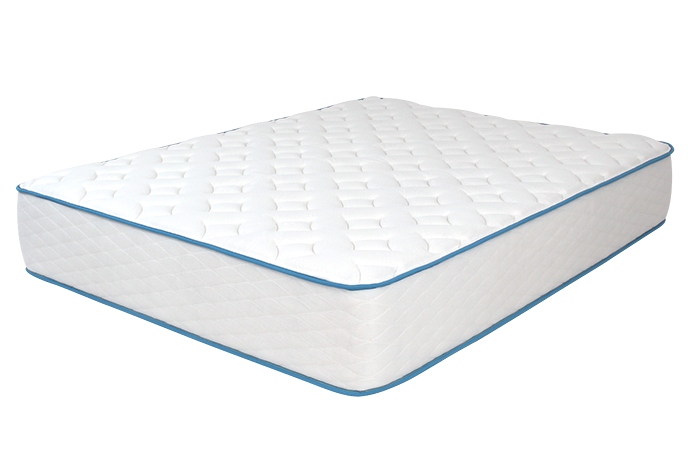 The Arctic Dreams also has the added bonus of three different firmness levels: medium soft, medium, and medium firm. The medium soft is perfect for side sleepers, while the medium firm is best for stomach sleepers. Once again, this mattress also comes with a great sleep trial of 120 nights, as well as a 10-year warranty. Overall, the Arctic Dreams is an extremely budget-friendly mattress whilst still retaining the features of a high-quality, supportive memory foam mattress that will provide a comfortable night’s sleep for your teenager for years to come. When you’re buying a bed for a teenager, accommodating their growing needs should be one of your top priorities. The Tuft & Needle Twin XL large mattress is great for teenagers, providing excellent join support, comfort, and breathability while still maintaining enough bounce for the bed to be comfortable for your teenager to relax and unwind during the evenings. Helping your teenager maintain good posture is a priority: Many parents find themselves constantly telling their teenager to stop slouching. The Tuft & Needle provides great pressure relief and maintains good posture, even while sleeping. Your teenager sleeps hot: The adaptive foam in this mattress is infused with cooling gel and graphite designed to provide a cool night’s sleep perfect for hot sleepers. 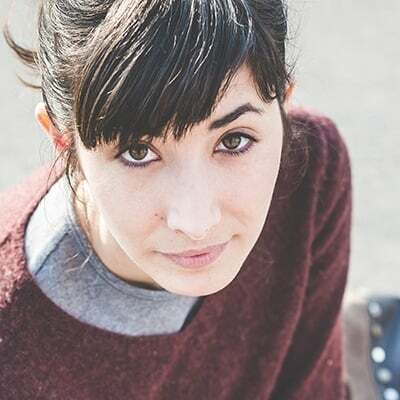 You want a mattress that is comfortable for relaxing, as well as sleeping: Most teenagers prefer to shut themselves in their bedroom all evening, so you’ll want to ensure that the mattress you buy is ideal for relaxing, as much as it is for sleeping. The Tuft & Needle mattress retains enough bounce to be comfortable for sitting on, while still being supportive for pressure-relief while sleeping. You want to test before you buy: The Tuft & Needle has a 100-night sleep trial and a 10-year warranty, so your teenager will have plenty of time to judge whether this is the right mattress for them, before you need to commit. The Tuft & Needle mattress is constructed simply with one supportive base layer and one layer of T&N Adaptive® foam. The Adaptive® foam is designed to capture the very best of memory foam and latex mattresses, providing a comfortable surface and excellent pressure relief without the ‘sinking’ feeling that can often be negatively associated with memory foam. 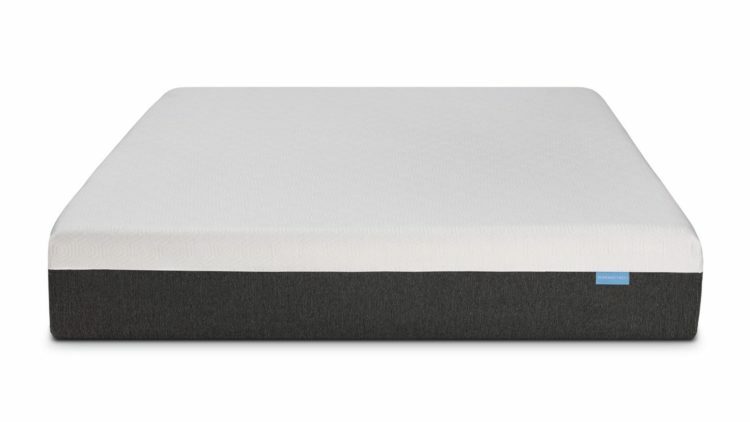 What’s more, the foam is infused with cooling graphite and gel, to wick heat away from the body for a comfortable night’s sleep, and the mattress is topped with a breathable cover to keep you extra cool, all night through. One of the best features of the Tuft & Needle mattress is that the foam is suitable for sleepers of varying sizes; the mattresses are rated up to 1,000 lbs total. The more pressure you put on the foam, the more it reacts to support you – perfect for a teenager undergoing rapid growth as they go through puberty! The mattress is eco-friendly, tested and certified by CertiPUR-US, Standard 100 by OEKO-TEX, and Greenguard Gold. What’s more, the Tuft & Needle mattress also comes with a 100-night sleep trial period, so your teen try the mattress out for themselves and you’ll also get a 10-year warranty with your purchase. Overall, the adaptive features of the memory foam on this mattress makes it ideal for growing teens who may still benefit from support and pressure relief while sleeping, but prefer to avoid the sinking feeling of some foam mattresses.